The priests involved in Domestic Church circles are an incredible gift, and their presence provides the "spiritual paternity" vital for true spiritual growth. Each Domestic Church circle includes a priest. Circles meet once a month in the homes of the couples, and his presence provides a fatherly guide, a doctrinal help, and a vital connection to the life and gifts of the Church. The animator couple facilitates the meetings and presents the materials, so the priest moderator is not responsible for organizing, preparing, or leading the meeting. His role is one of presence and spiritual Fatherhood, and is therefore necessary and deeply appreciated. "It reminds me constantly, every step of the way, that they need me as a priest and not just a secular friend with whom to chit-chat... 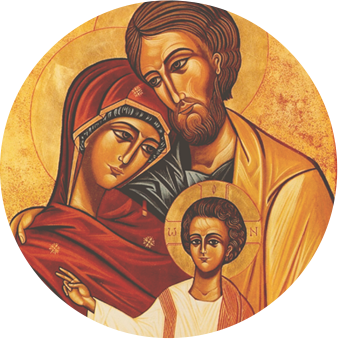 When I say that I know very well families who try to live the Gospel, and that it is possible for them, it&apos;s a great treasure and motivation for others...I have come to be sure that the work of priests in the Domestic Church is an opportunity to strengthen our priestly identity, and to deepen, cleanse and sanctify our priestly vocation. "